This is a gorgeous bracelet and would be perfect for brides and bridesmaids! 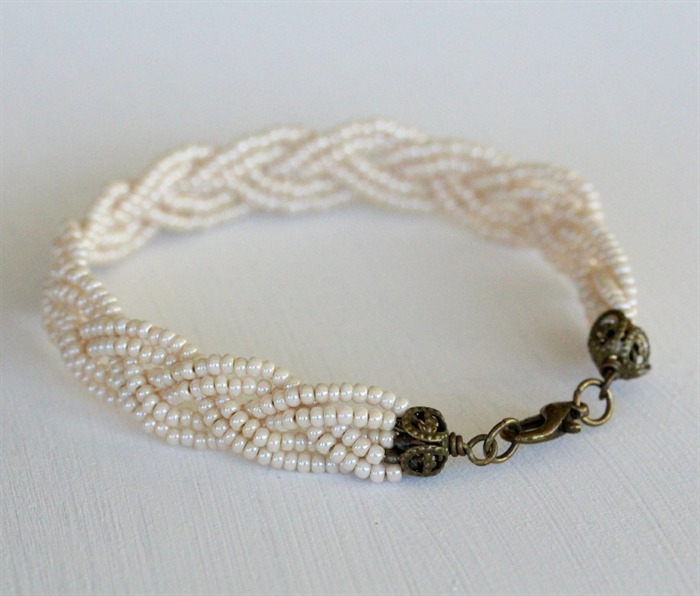 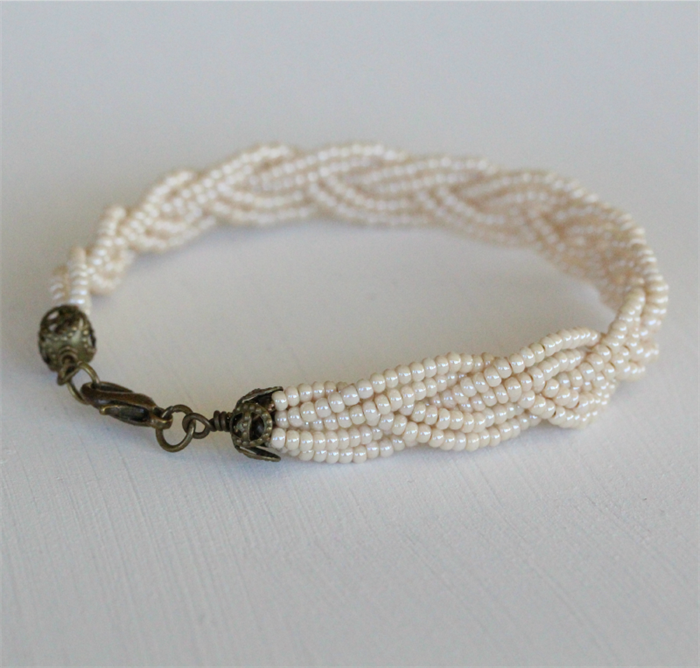 The bracelet features cream seed beads which have been braided to form a beautiful unique bracelet and is finished with antique bronze findings. 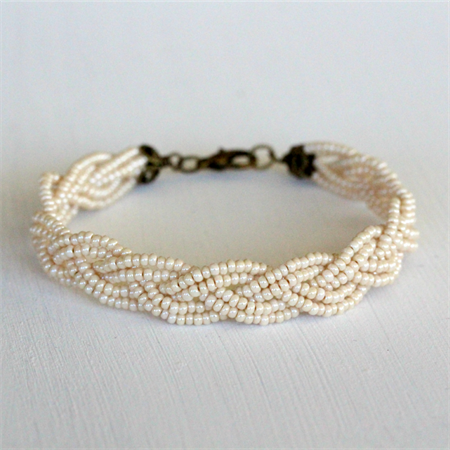 This bracelet measures 19 cm including clasp, however if you require a different size please contact me and I will arrange a custom listing for you. 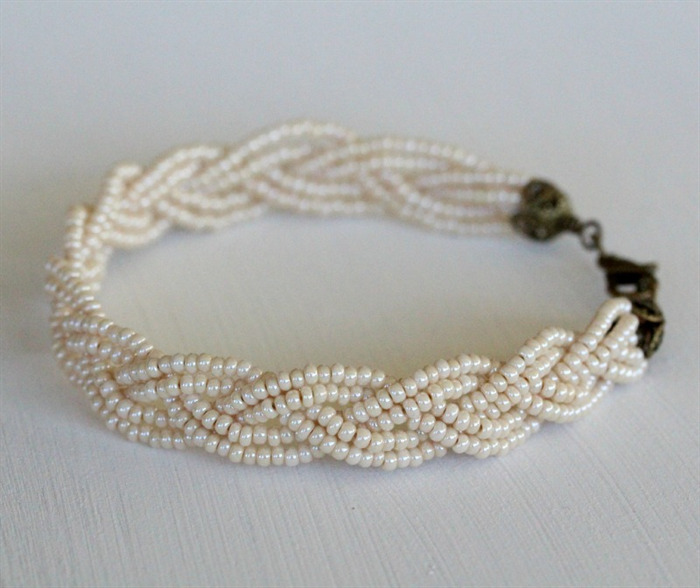 This bracelet can also be made in the following colours: red, yellow, turquoise or apple green.